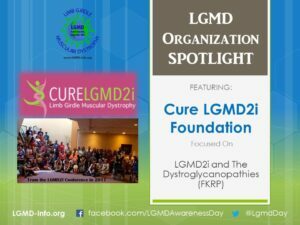 CureLGMD2i was initially founded as the Samantha J. Brazzo Foundation by the Brazzo family in 2011, after their young daughter, Samantha, was diagnosed with LGMD2i. 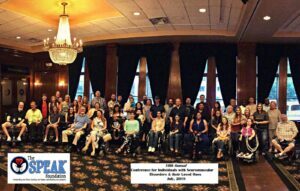 They realized that there were no other organizations raising funds specifically for research for 2i, so they created this non-profit foundation to raise money and awareness toward a cure for this rare and progressive condition. To raise funds to spread awareness and support scientific research that is geared directly toward creating a successful treatment or cure for LGMD2i. 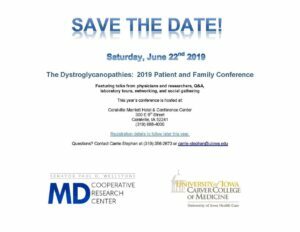 Providing financial support for the Dystroglycanopathy Family Conference in Iowa and research projects to build a better understanding of the progression of LGMD2i, drug development and building a successful gene therapy program for LGMD2i. To date, the CureLGMD2i Foundation has provided over $400,000 to research programs that are working aggressively to establish a treatment for LGMD2i. We most recently sponsored an “Into the Clinic” gene therapy meeting that was held at UMass that brought together top scientists and companies in the field of 2i to provide an update on pre-clinical work and clinical trial readiness. This meeting resulted in the creation of an LGMD2i Gene Therapy Steering Group, which be working on helping to establish a future clinical trial. 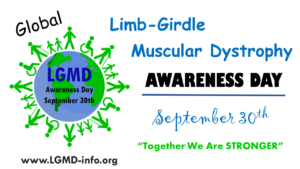 We are the only organization that accepts tax-deductible donations with 100% going directly to research related projects for Limb Girdle Muscular Dystrophy Type 2I. If you have a confirmed diagnosis of LGMD2i – please make sure to register in the Global FKRP Registry at https://www.fkrp-registry.org #Strengthinnumbers!